Justice Khilji Arif Hussain was born on April 13. 1949 and enrolled as an Advocate on 15-11-1976. 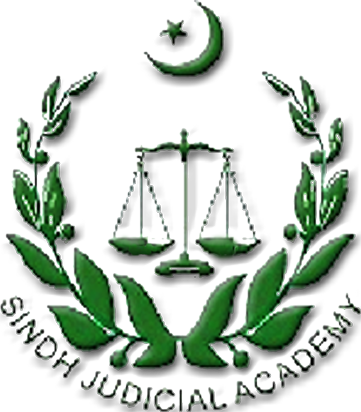 He was enrolled as Advocate of High Court on 20-06-1978 and as Advocate Supreme Court of Pakistan in the year 1993. Executive Committee of PBC in the year 1997. 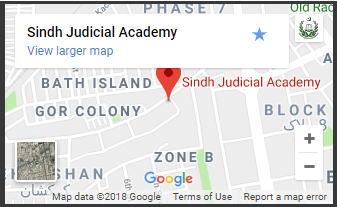 Justice Khilji Arif Hussain was elevated as Judge of High Court of Sindh on 27 -08-2002. In November, 2007 he refused to take oath under Provisional Constitution Order. He was elevated as Judge of Supreme Court on 05-09-2009 and retired on 12-04-2014. After retirement he attended number of workshops where Judges of District Judiciary were sensitize about Gender and Religion Biases, Case Management. Recognizing his services as Judge of Superior Courts. he was appointed as Adhoc Judge of the Supreme Court of Pakistan on 15-12-2015 for one year. He has been appointed as Director General of Sindh Judicial Academy on 17-01-2017..
NAMES OF HON’BLE DIRECTOR GENERALS, SINDH JUDICIAL ACADEMY. 8 Honorable Mr. Justice Khilji Arif Hussain, Former Judge Supreme Court of Pakistan 17-01-2017 To date.